Fall River pool where a woman drowned. FALL RIVER (CBS) — It’s a mystery as murky as the water at Veteran’s Memorial swimming pool in Fall River public pool: how did swimmers, lifeguards, or inspectors not notice a woman’s body at the bottom of the pool for a few days? On Thursday, Fall River’s mayor revealed “that health inspectors from the City visited the pool on Monday and on Tuesday and inspected the facilities,” which was during the time that Joseph’s body was believed to be in the water. Joseph’s body was finally found Tuesday night when some kids broke into the pool area. State regulations say the water at public pools has to be checked for calrity and bacteria every hour, but the water at the Fall River pool was so cloudy, no one saw the body. “The only thing of note in the inspection report is that the inspector did indicate that the pool water was cloudy,” said Mayor William Flanagan of Fall River. The director of the American Lifeguard Association told WBZ-TV that you should be able to see the main drain cover in the deep end. But on Wednesday, the drain cover could not be seen on SkyEye aerial shots of the pool. Marie Joseph's body was found in this Fall River pool Tuesday night. The mayor said Thursday that those city inspectors who visited the pool have been placed on administrative leave. The entire pool staff has also been placed on leave by the state. Investigators have said that on Sunday, 36-year-old Joseph went down a slide with a 9-year-old boy and was never seen again. “We’re not certain about anything other than the fact that we have a death and that this person was at the pool, and what took place with respect to the slide. Everything beyond that is absolutely under investigation,” said Samuel Sutter, the Bristol District Attorney. “The pool’s always packed, somebody should have come by and ended up seeing something,” said one neighbor. Officials did note that after testing, they are certain that swimmers who used the pool Monday or Tuesday do not face any health risks. In the meantime, police and state officials have closed down all 30 of its deep-water, public swimming pools as officials try to figure out what happened. State officials said they hope to re-open most state pools, with the exception of the one in Fall River, by Friday in anticipation of the long holiday weekend. You mean eating a pickle and peanut butter sandwhich with extra hot sauce!! Get over yourselves, both of you. PPPPAAAALEAAAASE anyeone who knows anything about politics knows that any PUBLIC FUNDED pool iis not something high on a republicans list. hence, if the city WAS run by republicans, there probably would have been a stuffed doll serving as a “life guard” so they could cut costs. Anyone who knows anything about politics knows the overwhelming majority of politicians in Massachusetts are democrats. Ashley, Please go back and take spelling again. Your government funded GED is not doing you any good. You seem to be a good loyal DEM…..
oh bill.. you are pretty funny. But i went to a private high school and college.. so you struck out there.. care to keep up slinging comments with no basis? Ashley, I am sorry you took it the hard way. On you first email, 8% of the comment was mis-spelled our typo. Going to the private high school and college, you should request 8% of your money back; or at least your governement fund grants should request the 8% back. Please list the schools you attended so the readers know what school not to send their kids. Ashley, a little bit of a test, can you find the 2 typos on mine. “…so the readers know what school not to send their kids.” Did you think that the readers were actually considering sending a school to their children? That’s impractical. Ashley…..Private school, huh? More like a magnet school for hellions. Did you go to JC or Rockos School of Typewriter Repair? okay your name is muf fluver.. not even going to notice what you wrote after you chose a name like that..
How on earth could the family leave without her after the 9 year old said she went down the slide and didn’t come back up? The fact that NO ONE, lifeguards, inspectors, people using the pool didn’t see her. This isn’t a pen or jewelry, you can’t miss a person. It really sounds like something really shady is going on. The first thing I’d do is check out the family. It just doesn’t make sense. Agreed, I thought the same thing. Wouldn’t the 9 year old be looking for her? Something is very fishy with a family leaving without a mother; how does that happen and nothing is reported? Yes they did. The little boy told the life guards that she went down the slide with him and never came up. The life guards never even did a search.Try actually reading about all of the facts before playing arm chair detective. A child telling the lifeguards is not the family telling the police that the woman has been missing for two days. How did the kid get home? Why was no one there concerned? How was it the kids broke into the pool at night? Was it because someone had just dumped the body there and broken a lock that let the kids in? I understand this is an investigation in progress, and that sometimes really odd things really do happen, but this strains credulity as written. That was exactly what I was thinking. Where is the family? Marie Joseph lived alone, and no one was expecting her to be somewhere on Sunday night. She was not at the pool with family but with neighbors and after waiting for her they assumed that there was a misunderstanding and they went home. She was reported missing to the Fall RIver Police on Monday. Actually a body doesn’t float until the decomposition is along enough so that gas is produced — she likely was not floating on the first two days, but rather was down 12 on the bottom of the pool. Later, the decomposition gases caused her body to float. Did you not read the story???????????????? WOW !!! THAT IS BIZARRE TO SAY THE LEAST !!!!!!!!!!! She took the neighbor’s little boy to the pool and has 5 kids of her own (who were at home or somewhere else). I’m assuming she’s a single mom who didn’t have another adult at home to report her missing. OK, You are so smart. If she is a single mother of 5. Where, were her 5 kids? Didn’t they report Mommy not being around. This is FISHY!! Her own five children must’ve been elsewhere. Can you imagine a mother taking a neighbor’s kid to the pool and not bringing her’s along too? This whole story stinks on many levels. Where was Casey Anthony when this happened??? I KNEW it before I saw it. The inspectors must have left their white canes back at the office. How is this possible? How incompetent are these people? It wasn’t until Tuesday night, when some kids broke into the Veteran’s Memorial swimming pool and found Joseph’s body floating in the pool. Post says it all folks… she wasn’t in the pool for two days. She was drown somewhere and the body moved when some kids broke into the VM Swimming Pool. Stop over-reacting and open all of the pools back up. Wow! Ron White said it all- You can’t fix stupid. Tell me where did you get your degree in criminal justice, at Walmart? The pool was cloudy and her body was in twelve feet of water. Your post says help me I’m ignorant. Mitch, you’re an idiot who has no clue what he’s talking about. 12 Feet isn’t that deep at all. I grew up with a 12 foot deep pool and I was always able to see the drain at the bottom. And the water being a little cloudy isn’t going to make it hard to see. If the water was THAT cloudy they definitely shouldn’t have been swimming in it because there is something else wrong with the water. It’s also hard to believe that nobody patronizing the pool saw the body in those 2 days, no matter how cloudy it is. I think it’s patently obvious that the body wasn’t there the whole time and was dumped there Tuesday after hours. And the 9 year didn’t notice? She was killed somewhere else and dumped in the pool sometime later. Any other explanation defies logic and reality. The 9 year old did notice and reported it to a lifeguard who did nothing (according to another news story). You should apply, Sailordude. I’m sure they have a space for the mentally handicapped. Did the “inspectors” even show up at the pool or just check off that they had? Sounds more like a no-show job to me. But….. just how murky is this pool to not be able to see to the bottom in broad daylight? Something really reeks about this whole mess. Government at it’s finest. Wait until they run everything in our lives…. Why did they not listen to the 9 year old when they told them she did not come up as told in another article about this incident? I almost hope this was some kind of foul play just so I can be at ease about Government efficiencies. Heaven help us all. Think about it this way. If it wasn’t for the local government there would be no public pools at all in Fall River. Permanently closing down all the city pools would be very efficient. Lifeguards are not agents of local government. Yes, the inspectors are, but the kid reported to the lifeguards. What about the little girl that she was with? Qhy didn’t she go to someone & say “my mommy just went down the water slide in the pool & now I can’t find her!”. Who took this little girl home? Wasn’t her stuff on the ground? Something really weird here. It was a little boy and he did notify a lifeguard who didn’t do anything. are the TSA running pool security these day? That’s government workers for you. They probably took a nap in their car while they were suppose to be doing their job. At our public pools, every half hour the pool is cleared so the life guards can look for people in distress that might be ignored with all the noise and splashing. To have the pool closed for the day and none of the life guards noticing a person on the bottom is beyond comprehension. There’s more the to the story. The pool was so cloudy that you could not see your feet if you were standing in 4 ft of water. It was milky. The water in pools is only clear because the pool is constantly maintained, pH adjusted, etc.. Turbidity usually leads to pool closure if these things are not properly done. The ONLY possibility that fits this story is if the water was so murky that the bottom could not be seen. That would explain why the inspectors are on administrative leave – for not shutting down a pool that filthy. Otherwise, there is no way she drowned at that location. It is impossible not to notice someone in there for three days. Swimmers would have noticed; lifeguards would have noticed; pool cleaners would have noticed. So going with a murky pool, why didn’t anyone listen to the 9-y.o. when he reported the woman didn’t come up. Ah! See the picture at the link in the first sentence. The 12-foot section is very murky. You can see how murky the shallower section is by the faded swim lane lines painted on the bottom. Why didn’t anyone listen to the kid who reported that she didn’t come up??? Administrative leave? Until they figure out how they missed the dead body in the pool? Then what? Reassign them to the TSA? Wait! I just thought of something. Was the “dead body in pool” box checked on the inspection report? Wait a minute! Some over paid, useless government inspector didn’t do his job?! I’m speechless…. you can not see a body at the bottom of a pool due to the prism effect of the water. A body sinks for a few days due to water in the lungs then as the bacteria let off enough gas it floats. A kid was at the bottom of a pool with police looking for him in the pool and didn’t se him until later in the day someone went in to look from underwater. It happens. Swimming is fun but it can be deadly. Never swim alone, even in a crowded pool. John R., a clean, clear pool is completely visible to the bottom. What is this ‘prism effect’ you speak of? That story happened her in CA. Bottom of the pool was murky due to disintegrating plaster. Pool owners got their pants sued off for not maintaining their property and “killing” that boy. There is no way you can miss a body in a clean pool. I can see a CRICKET at the bottom of mine right now. I totally agree. Who would even want to go in that pool! This is really fishy. LOL How can one “swim alone in a crowded pool? Definitely sounds like two no shows to the job!! That’s why there needs to be entrance examinations for these jobs to show if they have a brain. How easy is it to see something in 12 feet of water with ripples? Not very. And what if the shadow of the water slide added additional darkness? Could her body have ended up in a relatively concealed position? And is it the official role of health inspectors to look on the bottom of pools for bodies? Did the woman live alone?I don’t know the answers to these questions, but the speculations that have run rampant are out of this world. This is all crazy. At this point it looks like a tragic accident, but there must be a scapegoat (or a bunch of them). Folks, accidents happen. “Someone” is not always responsible. Not all accidents can be prevented. The whole world isn’t stupid or negligent. well said, it appears that most of these people have never tried to see things at the bottom of a 12 foot deep pool, or have heard the hundreds of other stories of bodies “appearing” at the bottom of a pool after being “searched” (looke at from up top) many times. it takes practice to see trout in a river a few inches deep. I used to swim in a pool with 20 foot depth for diving platforms and you could see clear to the bottom of that. We’re not talking a natural lake here with a muddy bottom. It’s a swimming pool with a white bottom. If the water is too murky to see the outline of a body down a mere twelve feet, the water is being treated improperly and probably isn’t all that safe (for this reason if no other). This is pure incompetence from top to bottom–from how the pool was cared for to how it was inspected to how it was not searched when her “not coming back up” was reported. Ya ever seen a dead albino at the bottom of a swimming pool?? Also, no one is saying that accidents don’t happen. What they are saying is that while it is an accident to drown inside of two or three minutes and not be noticed, it is NOT an “accident” to have the body sit in a small, enclosed space for three days while people specifically hired and trained to look for such things overlook it the WHOLE time and scores of other people play on top of it–all following the known report that a woman went into the water and didn’t come back up. That is so far beyond “accident” that it is inexcusable. In this case, “someone” most certainly DOES need to be held responsible–not necessarily for the drowning itself (though that may have been prevented if the water were clearer like it should be in a pool), but for everything that happened after that report that she didn’t come back up was received. That’s how clear pool water should be. 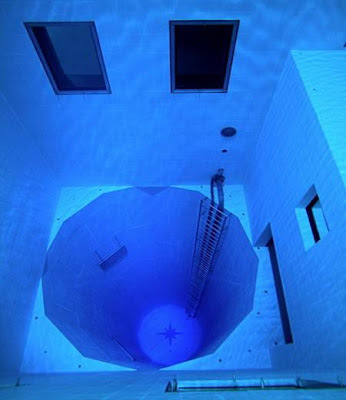 Twelve feet in a clear, well-kept pool should be nothing. If the pool is so crowded wouldn’t there be other people going down the slide or jumping in the deep end? They would possibly touch the bottom and feel something! I can’t imagine the germs in a pool that cloudy! Get real people! Ted Kennedy has an alibi, he’s dead. Well the devil can vouch for him too, old Ted was in Hell when this happened. But where was http://www.liveshot.cc that day? Like any profression there are good employees and bad employees. Years ago I was a lifeguard and I was one of the good ones. I trained and even participated in lifeguarding competitions etc. Often I was fustrated by the complete lack of due diligence and attention of my co-workers who really did not seem to care about thier jobs. Out of fustration I took one of the child training dummies and placed it in the deep end of the pool before the start of a shift of one of these co-workers and after about 20 minutes I fished it out of the water. He had no idea it was there and worse off he did not even seemed shocked by it. Now that said there is something stange with this story. If a friend or familiy memeber went missing from a public pool for more than 5 – 10 minutes I would be reporting it to the facility management to start then the police. Leave the shrubbery out of this! She must have been wearing her cloak of invisibility. What?, Does it now cost more to hire someone with eye sight? Why close down the other deep water pools?? What? Do you expect to find bodies in them too? That’s so stupid. Heys he was just doing the dead-man-float. Two days in the water, bad on skin tone. Like dead fish.. Unionized fed workers in place. Don’t worry we get paid more for your safety. Hey a’m on break tell somebody else kid. And we canexpect the same government worker “quality” if Obama care comes through. Be afraid. Be very afraid. I don’t buy it. The 9 year old boy tells the lifeguard but neither he or his family she came with help her but pack it in and leave? I think the investigation will show something else, maybe she snuck in at night and drown, or soemthing else. I just can’t believe her own friends didn’t help her out or demand the lifeguards go to her. Strange, she should have come to the surface within a day or so from decomposition / gas build up. Bodies will only remain at the bottom when the water is extremely cold. Isnt this where the wonderfull Borden family was from? As In Lizzy Borden? Dead body in pool two days? Check. Union life guards on duty? Check. Typically vigilant public inspectors check pool? Check. Body found? Check. So what’s the beef? The system worked. I cannot believe that a dead body could lie in a busy public pool for two days without somebody noticing. No matter how incompetent the pool staff may or may not be, surely another swimmer would have noticed. I’ll be interested to see what an autopsy shows. Is it just me or is the fact that it took kids who broke in to discovered the body just a little disturbing? Union inspectors in a Democratic controlled town no doubt. Hope they shocked the pool afterwards. How is that possible? How could no one notice? The lifeguards… and the pool goers? It’s only 12 feet, and I’ve never seen a pool where you cannot see 12 down. If it were in a lake, I could understand, but a pool?! If she had kids with her, who took them home? That is positively ridiculous! I smell cover-up. My first thought was Union workers not doing their job. Like in Wisconsin, they are given jobs and cannot be fired. Therefore, other workers do not care any more to do a good job and just draw a salary. This just goes to show how observant feminized Americans are! Keep living in your dream world morons…. The lifeguard is not to blame, his seeing eye dog cannot swim. We should throw some of our elected politicians in this pool and see if they meet the same fate. These competent public employees were probably busy calculating their pension benefits or on the phone with the union rep finding out when they will be getting more money for their valuable services. Civil service is a dumping ground for every stupid, lazy and vicious jerk who could not hold down a real job. Inspector Pelosi: The pool must pass inspection before we will know what’s in it. What are some of you people talking about?? Union employees, figuring their pensions. They are seasonal students!! Not even state employees yet?? This is a very fishy story. Did you see the boyfriend interviewed on tv this AM. he thought it was just the lifeguards being inattentive. I used to be a lifeguard and this story does not add up. Way too many questions. Is it necessary to close down all 30 DCR pools? This is why government regulation and oversight on ANYTHING is useless! That’s your state workers folks. Incompetence abounds. It’s a race to the bottom in State and Federal governments to find out who really is the greatest moron. Wow where does all the hate come from lol . Forget losing faith in kids, I have less and less faith in republicans of any type with comments like this. These are pathetic. Even worse than youtube comments. I have a tough stomach and even I had to quit reading. Good luck to you all and may God have mercy on your souls. It all makes sense to you, does it dude? Just another day at the office. I agree, dude. I am shocked, saddened and disgusted by all of the ignorance and hate in this world, as exemplified by the majority of these comments. No matter what your opinion is, there is no need to be so disrespectful of others. Speaking of hate how do you know the negative comments were from Republicans. Kinda sounds like blind hate to me Dude. When it comes to hate, the repubs are pikers compared to the dems. look in pool. That’s not a job requirement, but if there were bikinis….oh my! anyone questioning the cleanliess of the water and the thoroughness of the lifeguards/inspectors are fools. you cant possibly believe that her body was in this pool for 3 days. there is clearly foul play here and her body was dumped after the fact. also, the woman was pregnant – the media isn’t publishing that information along with plenty more details. there is an investigation going on, someone is responsible, and posting every fact they know isn’t going to help with that. use a little bit of logic here, people! question everything! oh, and that interview with her boyfriend?!? seriously?!?!? hopefully they have him in custody and are questioning him! Does anyone know if an autopsy has already been performed proving that she did indeed drown and how long she might have been dead? I think these are important factors before coming to any conclusions. I have a pool with one side that is 8 ft deep and when I put the chemical shock in the pool to help clean it, it can get so cloudy I can’t see the bottom of the pool. I bet that is what happened, if she did drown in that pool. The story being told in the article seems impossible. How can employees at a pool not see a dead body for several days. There is a lot more to this story than we are hearing. You can loose a person in the ocean or in a lake. A pool is simply not big enough for this to happen. And no one has commented on the excellent idea she had of going into 12ft deep water with a small child when she couldn’t swim? I try not to be the heartless kind of person in these scenarios… but really? To bad Columbo is dead. She left the pool Sunday and was killed Monday or Tuesday and dumped in the pool. Only explanation that covers two+ days of not being seen by ANYONE swimming. You never told me I was supposed to look for bodies on the bottom of the pool. I thought I was only two worry about swimmers obviously in trouble, or bloated bodies floating on the surface. The publicly funded pool was probably managed by union/affirmative action hires, and we all know how competent they are. funny how selfish we are. we are bickering in a comment section of a woman who actually passed away and has left family behind. i’m really sorry for that.. Sounds like another minority hire They just don’t give a rat’s @@@.. The girl saw someone she knew and went to talk to them…insert foul play here….perps dump body in pool days later. The End. Just wait till the caring ones take over the health care system. Bill, I find at least 5 typos in your last post and I’m not looking too hard. And the Solution to the problem: We are closing all the pools to punish everybody because one of you had the temerity to drown. If they didn’t notice a body ijn the pool for two days….how can we really be confident when they day that no one should be concerned about health risks. I wouldn’t trust anything the say at this point…..
What is wrong with the state inspectors? Inspectors r probably not doing their job… fudging reports all the time.. Heads Need To Roll – DCR needs overhauling… just like the parole board…Poor boy in Auburn died because inspectors didnt do their job…………. This is just sad and a damn shame! The lifeguard ignored the boy she was watching?!!?! And to have a public pool, THAT FREAKIN CLOUDY and still allow it to be open is reprehensible!! Diotomaceous Earth (a product used in conjunction with the filter grids) could make a pool that cloudy and not effect the cleanliness of the water, (though I have a feeling the water was cloudy from overuse) but STILL. . .this is a public pool and it should have been closed until the water cleared! But the inspectors, and the lifeguards, and the lifeguards supervisors, turned a blind eye and the result is a needless death. A tragedy that was EASILY prevented, had anyone cared! I agree there sounds like incompetence if the boy told lifeguards she didn’t surface and nobody checked it out. I also agree that it sounds a little fishy that her family, nobody at all reported her missing. The boy must have told his mom what happened. Why didn’t they check it out? Good point about her own five kids. Who had them and why didn’t anyone question why Mommy didn’t come back for her kids? All too many sketchy, unanswered questions here.They went to the pool together so why would the one leave without telling anyone? Why wouldn’t the boy tell them? Why wouldn’t SOMEONE notice her missing? Maybe they should start questioning with the friends and family. “I’m telling you I didn’t see no body” you didn’t see a body? Of course nobody noticed a body, there’s hundreds of people swimming, and she simply blended in. The only people who should have noticed was the employees at the end of the day, and the beginning and end of the next day! Why? Because that’s there JOB to make sure everything is in order. Clearly nothing was. They found her belongings, but no body floating around? They should be held accountable. These are likely the same “inspectors” who ok’d the escalater that ate the kid a few months ago in the shopping center. Yeh, I’m worried about their fat pensions ! Stupid and sad somebody must of saw her! If inwas in that pool swimming underwater saw something i would have ran too but at least told someone. Also as a son of a lifeguard,why wasent every one called out of the pool until it clears up on the pool floor? for everyone who is saying that you can see all the way to the bottom of your 12′ deep pool, there is a big difference between your pool and a public pool. Your pool has a handful of people in it. The public pool has hundreds in it. Dont believe me, next time you drive over the Tobin look down and you can see the Chelsea pool. It’s packed, literally wall to wall people in it. There is no way to see the bottom throughall those people when it is clear, never mind when it is so murky you cant see the lanes in the shallow end. 54 EMT’s lying about their qualifications, Little kid falls off an escalator because of no inspection, and these people can’t seem to see thru the cloudy water to check. More of our always on the job state workers doing their thing. I bet if it had to do with thier pay check there would have been 100% attention!!! !Stop Whitey’s helecopter rides and with the money saved open the pools with some people who give a damn!!! This can’t be the entire story!! This is very suspicious at best. There must be more to it than blaming and fingerpointing. Ok, quit your b-tching people! Here’s an idea: how about we stop musing over what may or may not have happened, turn off CSI, and head to the beach instead of swimming in chemical-treated water? Come on, it’s Fall River not Kansas. Stop whining about the closed pool and trouble-shoot the hot weather already. Sprinklers? Backyard kiddie pool? BATHTUB? There are other choices.. yeesh. She drowned while lifeguards were being paid to keep the patrons safe. Not only were they not doing their job, but the inspectors who are on PAID leave should have actually done their job and reported an actual problem with the condition of the water. Is it that hard to perform your job? what happened to the 9 year old child? are they drowned and at the bottom of the pool too? Every lifeguard on duty at the pool on the day that this poor woman disappeared should be fired and never allowed to hold a lifeguard position again. Why didn’t they check the pool periodically for people in trouble? Why didn’t they check the pool after the swimmers had left? And if the pool was so murky that nothing, including a human corpse could be seen at the bottom, then the pool was unsafe and should never have been open to begin with. I used to swim at a neighbor’s pool. They cleaned it every day. The pool was so clean, even after a party, that you could see a penny on the bottom of the 9-ft. deep end. Spot on with this write-up, I truly think this web site needs far more attention. I�ll probably be back again to read more, thanks for the information!